Sarah Nader - snader@shawmedia.com Crystal Lake Central's Paige Hulata jumps to block a ball during Wednesday's Class 4A Wauconda Sectional volleyball final against Prairie Ridge Nov. 1, 2017. 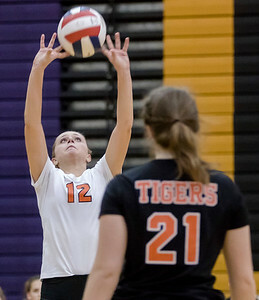 Crystal Lake Central won, 22-25, 25-22, 27-25. Sarah Nader - snader@shawmedia.com Crystal Lake Central's Megan Kelly returns the ball during Wednesday's Class 4A Wauconda Sectional volleyball final against Prairie Ridge Nov. 1, 2017. Crystal Lake Central won, 22-25, 25-22, 27-25. 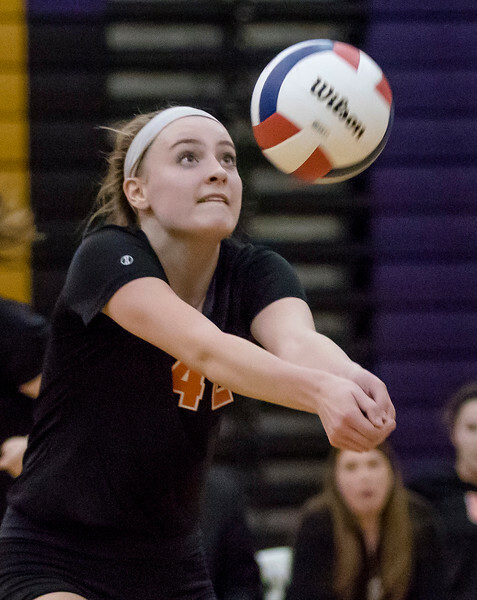 Sarah Nader - snader@shawmedia.com Crystal Lake Central's Kendall Lownds sets the ball during Wednesday's Class 4A Wauconda Sectional volleyball final against Prairie Ridge Nov. 1, 2017. Crystal Lake Central won, 22-25, 25-22, 27-25. Sarah Nader - snader@shawmedia.com Crystal Lake Central's Camryn Hausler (center) celebrates a win during Wednesday's Class 4A Wauconda Sectional volleyball final against Prairie Ridge Nov. 1, 2017. Crystal Lake Central won, 22-25, 25-22, 27-25. 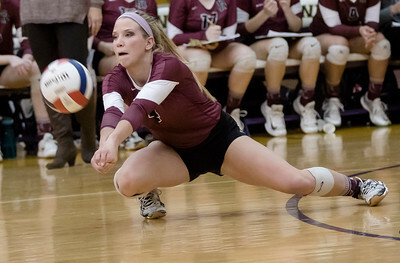 Sarah Nader - snader@shawmedia.com Prairie Ridge's Hannah Baudin humps to block a ball during Wednesday's Class 4A Wauconda Sectional volleyball final against Crystal Lake Central Nov. 1, 2017. Crystal Lake Central won, 22-25, 25-22, 27-25. Sarah Nader - snader@shawmedia.com Prairie RIdge's Kelsy Turskey dives for the ball during Wednesday's Class 4A Wauconda Sectional volleyball final against Crystal Lake Central Nov. 1, 2017. Crystal Lake Central won, 22-25, 25-22, 27-25. 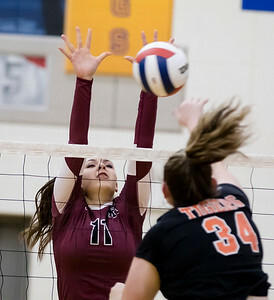 Sarah Nader - snader@shawmedia.com Prairie RIdge's Olivia Annen jumps to block the ball during Wednesday's Class 4A Wauconda Sectional volleyball final against Crystal Lake Central Nov. 1, 2017. Crystal Lake Central won, 22-25, 25-22, 27-25. 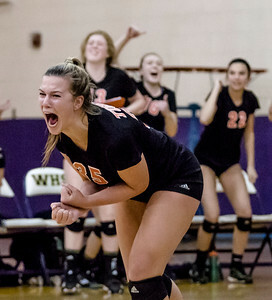 Sarah Nader - snader@shawmedia.com Crystal Lake Central's Madelyn Blake celebrates a win during Wednesday's Class 4A Wauconda Sectional volleyball final against Prairie Ridge Nov. 1, 2017. Crystal Lake Central won, 22-25, 25-22, 27-25. Crystal Lake Central's Megan Kelly returns the ball during Wednesday's Class 4A Wauconda Sectional volleyball final against Prairie Ridge Nov. 1, 2017. 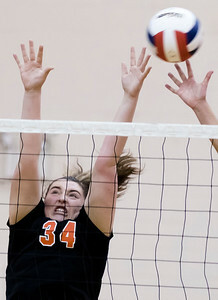 Crystal Lake Central won, 22-25, 25-22, 27-25.